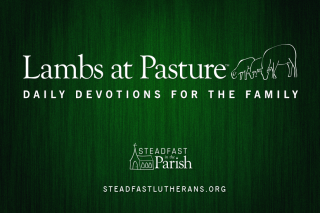 Speaking of pastors, Luther states they have two duties, “feed the sheep and ward off the wolves.” (Formula of Concord, Solid Declaration, Rule and Norm, 529.14 Kolb (click here, then scroll down to paragraph 14); Acts 20:25-31, II Timothy 3:16) That is, the pastor must teach the Word purely and also condemn false doctrine. This is what the creeds do for Lutherans. In Lutheran Worship there are three ecumenical creeds–Nicene (pg. 141), Apostle’s (pg. 142), and Athanasian Creed (pg. 134). They are called “ecumenical” because they are accepted by many Christians throughout the world. All three creeds teach the doctrine of the Trinity. Note how the Nicene & Apostle’s Creed follow a similar outline based on the Father, Son, and Holy Spirit. These Creeds are ancient. The Nicene Creed began to be formed at a church council in Nicea, Turkey in 325 AD as a response to specific heresies that were invading the church. The Apostle’s Creed dates to at least the early 2nd century after Christ, and it gained its name because it confesses the faith as the apostles taught it, not because they specifically wrote it. The Athanasian Creed appears in what is now Southern France in the 400’s, but no one knows who the author is even though it was named after Athanasius. It too was developed to address specific heresies of the time, and it is typically used only on Holy Trinity Sunday because of its length. We do not confess “modern” creeds written anew every Sunday and neglect the confessions of the past. Because the ecumenical creeds are built on Scripture, they are timeless. The age of these creeds remind us that we do not confess them alone. We are part of a mighty army of believers marching from of old and yet we are one church that confesses the faith “with angels and archangels and all of the company of heaven.” (L. Rast, Lutheran Witness, June 2000, pg 22). The LCMS convention in 1998 passed a memorial against such practices, and the church officialy reaffirmed our confessional stance that we only confess the three ecumencial creeds. But that resolution is still ignored and many District Presidents don’t care to exert any authority over pastors who ignore our confessional position on this issue. To be sure, there are subtelies here. We confess our faith when we sing the Te Deum. One of the chief benefits of orthodox hymns is that they repeat and strengthen our confession. Indeed, the very act of hymn singing is an act of faith. Faith sings! But the ecumenical Creeds are more than that: they are a liturgical pledge of allegiance to the faith by which we are saved, and so should not be tinkered with for the sake of novelty and relevance. My upcoming “Not Your Grandfathers’ Church” column will be about a visit to a congregation this summer which has the following practice: an ecumentical creed at their “traditional” service, a newfandgled “affirmation of faith” at their “blended” service, and no creed at all at their “contemporary” service. And before “Martin Luther” or someone of his ilk logs on to nitpick, I’ll go ahead and point out that the “contemporary” service did have the Lord’s Supper. (Which you received as you walked back down one of the side aisles on the way back from coming up to the foot of the stage by the band and putting your offering in the plate.) They weren’t having some sort of daily office like Matins (i.e. prayer & preaching), but a type of Divine Serivce and so, yes, a Creed should have been confessed. Thanks for some very good points, Phillip. It never ceases to amaze me that people believe that they can somehow improve on something like one of the ecumenical creeds which has stood the test of time for more than 1000 years. I can’t think of any other way to describe it than arrogance. As far as the offering taken with communion goes, I actually learned recently that that was a common practice in congregations at some point in our Synod’s recent history (60 or 70 years ago). 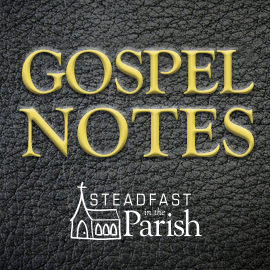 It was especially common in poorer congregations where the pastor often paid for the elements out of his own pocket, and the offering was taken as a way to defer the cost for him. Obviously that is no longer necessary today, but I thought it was an ironic footnote to your comment. Do not be fooled. Taking the offering at communion is done for one reason only – it saves time!! !